I can't think of anything better than unexepected nailmail! 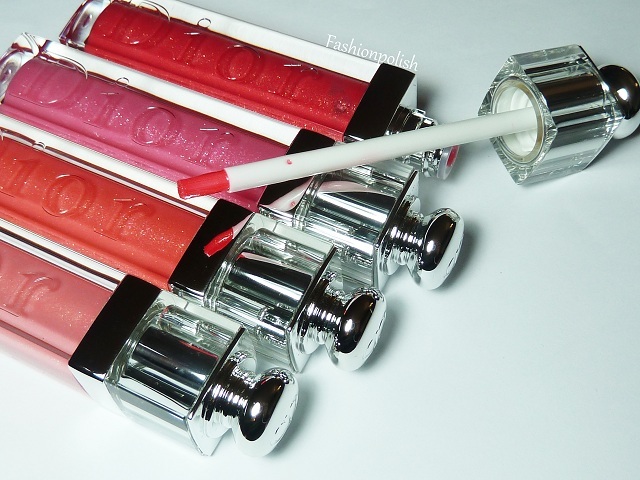 I've been very busy lately and I must confess that I had no idea that Dior was releasing a new collection so soon so imagine my surprise when I unpacked these pretties! 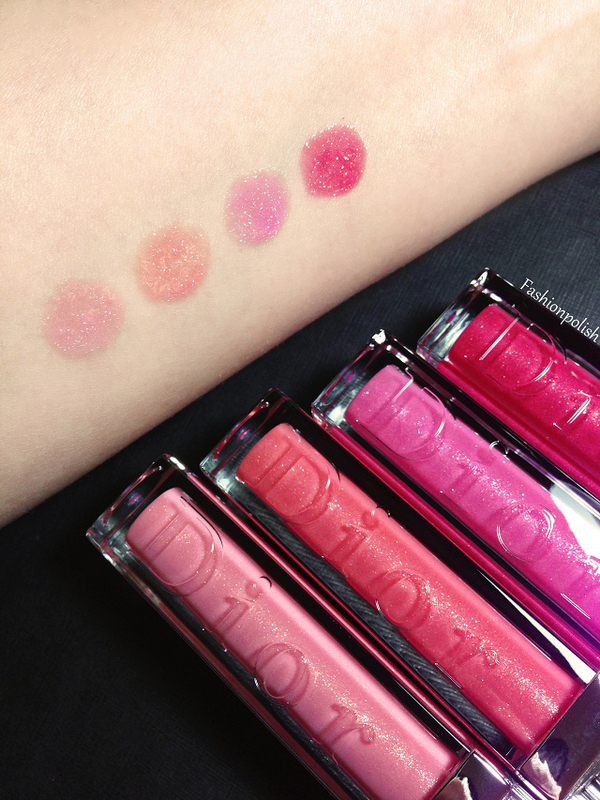 Dior Addict Gloss collecion consists of 24 shades and 3 different effects of lip glosses and 4 glass flecked polishes, in their 4 hit shades. 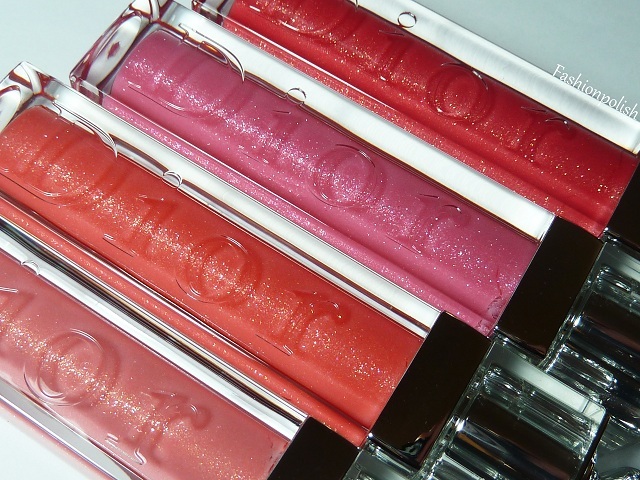 Soft and ultra sparkly, the Dior Addict Gloss lip glosses apply like a dream and leave a nice, comfortable and almost completely non sticky feeling on the lips. 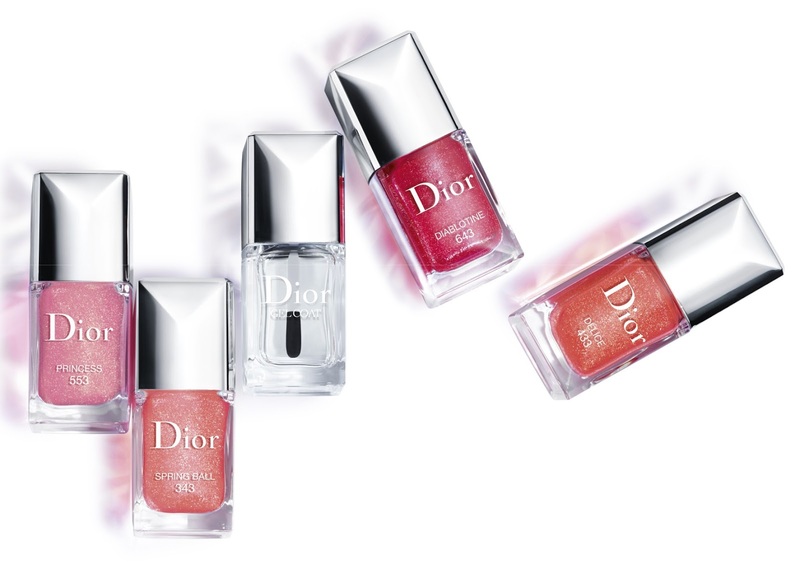 Dior Délice is a bright cool toned coral with a shimmer of glass flecked particles in pink, gold and green. 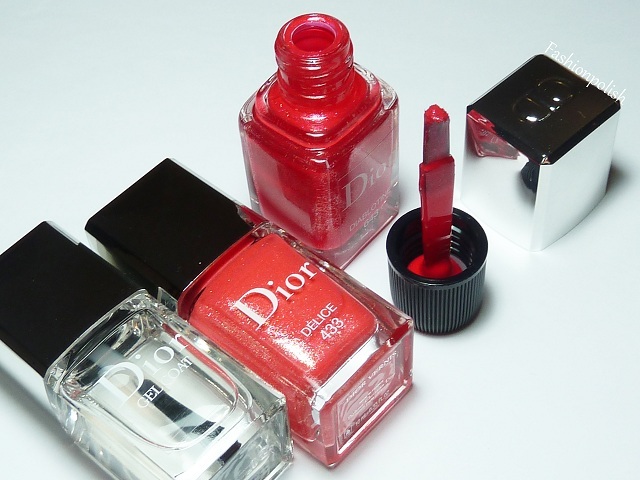 It's a very saturated and happy color and I can definitely imagine it on a wide variety of skin tones. 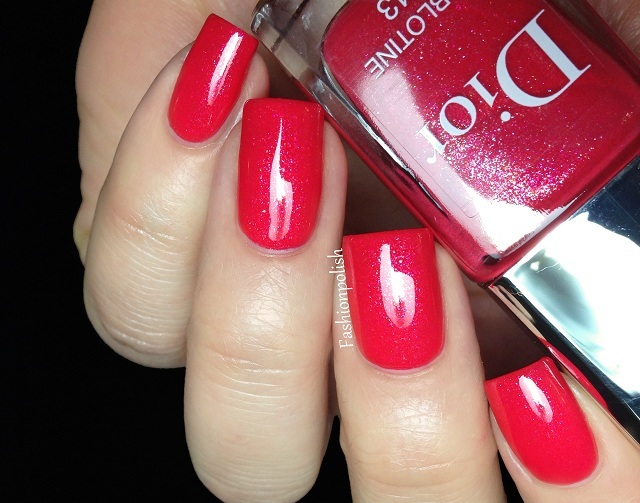 Formula was wondeful, a little bit on the thick side but offered great opacity and control. I used two coats plus Gel Coat in these swatches. 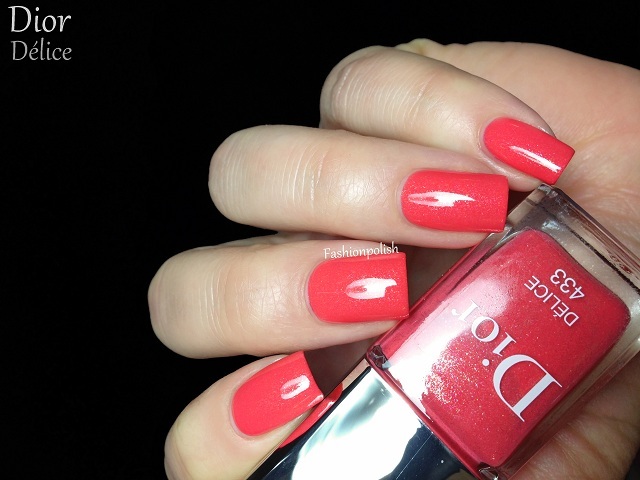 Dior Diablotine is a darker and slightly pinker version of Délice : coral on the verge of red. The shimmer was identical as the previous and just as beautiful. 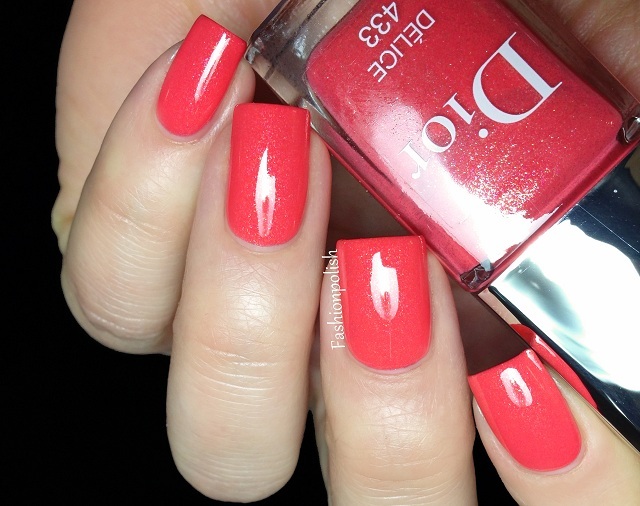 I love coral reds, they give a nicer, more edgy look to manicures. 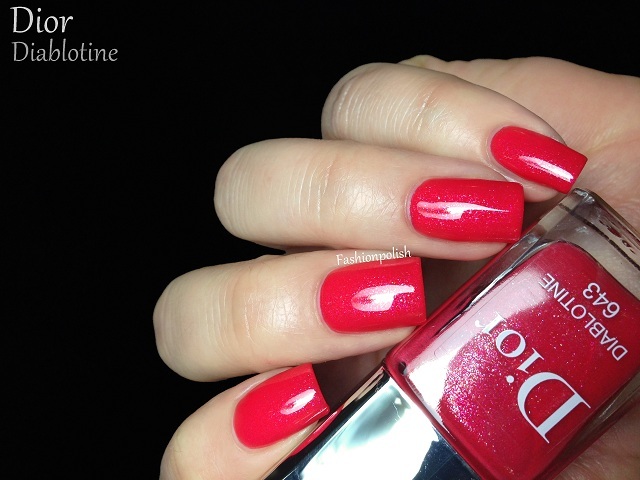 Formula was just as easy to work with and you're also looking at 2 coats plus Gel Coat. 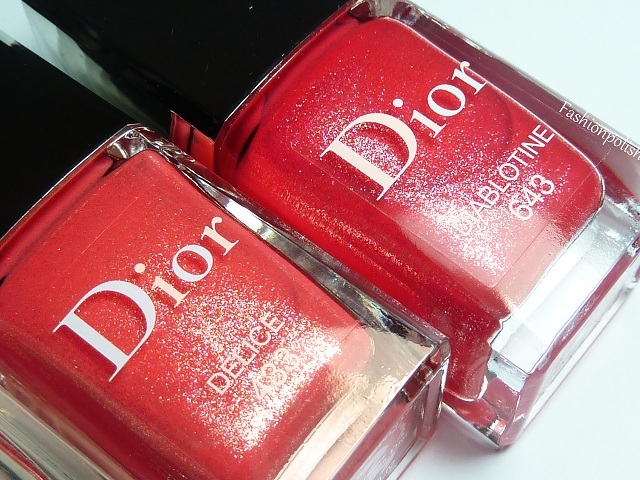 There are also 2 lighter shades of polish that I didn't get yet but I'll make sure to post them as soon as they hit the stores. Will you be getting any of these?